Lamb Cuts - How to cook lamb recipes. © 2009 Peggy Trowbridge Filippone, licensed to About.com, Inc.
Color is a good indicator of age. The lighter the color, the younger the meat. Baby lamb should be pale pink. Regular lamb is pinkish-red. Ground lamb and small lamb cuts should be wrapped and refrigerated up to three days. Larger roasts may be refrigerated up to 5 days before using. Ground lamb may be tightly wrapped and frozen up to 3 months, while larger roasts and solid pieces may be frozen up to 6 months. Plan ahead: frozen lamb should be thawed slowly in the refrigerator, not at room temperature. This will allow the moisture to be re-absorbed into the meat and not lost. 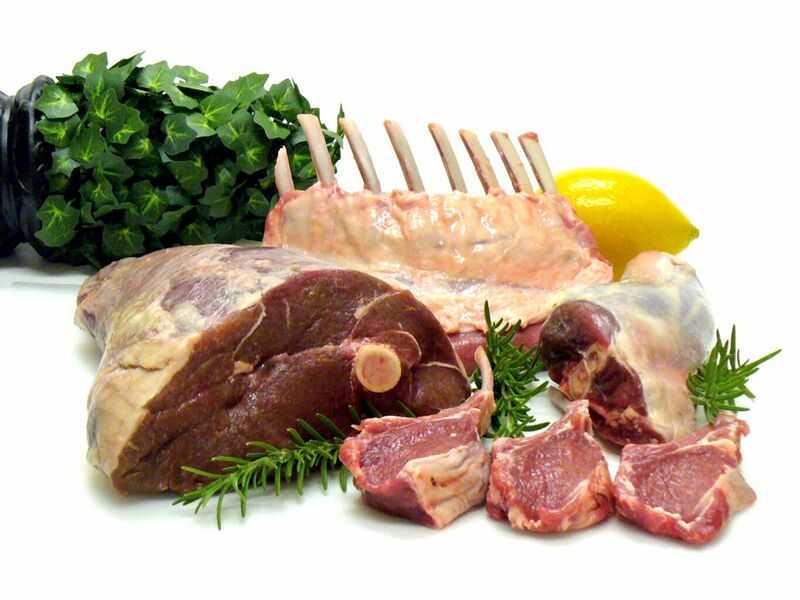 Cooked lamb may be refrigerated up to 3 days or frozen up to 3 months. One 6-pound leg of lamb will serve between 6 and 8 people. When selecting lamb, take into consideration the tenderness of the cut so you will know how to cook it. Tender cuts require fast cooking over moderate to high heat, while less tender cuts are better for braising and stews. • What is the difference between lamb and mutton?